My name is Anne Marie and I love to sculpt. 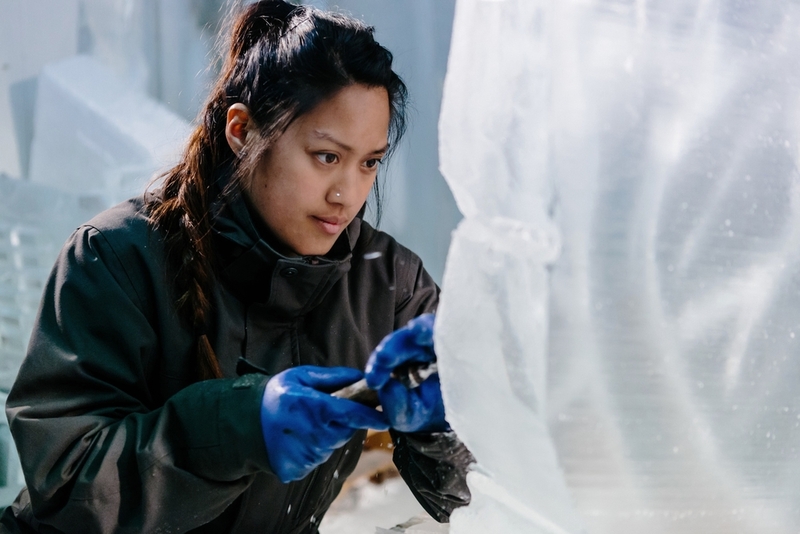 I am an Ice Sculptor currently based in Sydney, Australia. Quite simply, I love to sculpt in all materials and at the moment my material of choice is ice. Photography courtesy of Jason de Plater. I sculpt with a chainsaw day by day in a freezer that is set to minus eight degrees. ...the way that light radiates through its mesmerising transparency, its purity and of course its beautiful ephemeral nature. Yes - I am in love!